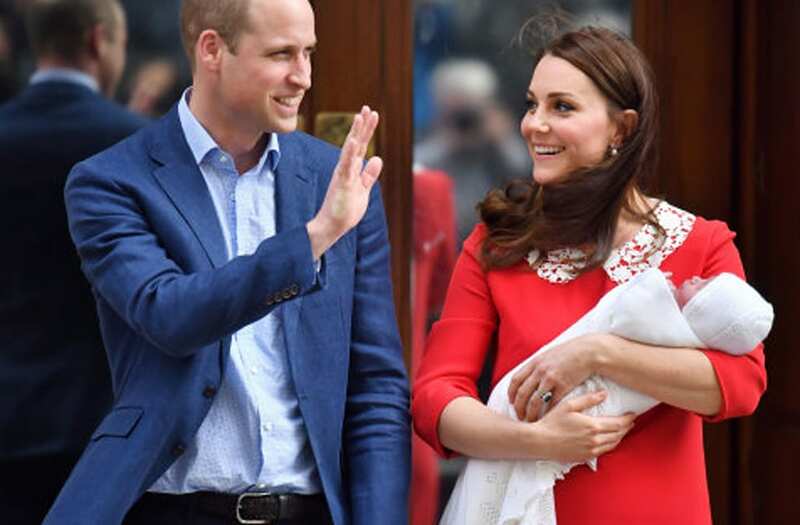 Kate Middleton officially welcomed her third child with Prince William at 11:01 am GMT today. We'll be the first to admit it -- the obsession with Kate, William and the rest of the royals is too real --and we're not the only ones who feel this way. From Hollywood's A-listers to big-name comedians, the internet is going crazy over the birth of the new royal baby. While the name of the newborn son is still TBD, the predictions are rolling in. From Liam Payne to J.K Rowling and Chrissy Teigen, check out the gallery below to see how celebrities are reacting to the newest royal highness.